….Or naan breads or pittas or whatever you would like to use them as! Here is an example of my delicious wraps used to scoop up some of the prawn curry I made last night – How good does that look? Do you want to know how to make these really quick and easy wraps? Read on below and give them a go! I would also love to hear about what filling you use inside these babies – will it be run of the mill‘ham and cheese’ or will you be adventurous? Please do let me know and I may even feature your pictures on my facebook page. Before you ask “Whats wrong with the ones I buy in the store”? 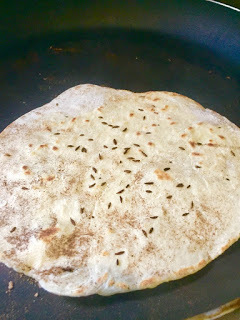 – There is nothing wrong with store bought wraps or naans – we all need a little help when trying to save time!!! In fact, most of the time I buy my wraps too. But when the kids are going through phases of fussiness, there is nothing like cooking from scratch to get them interested in their meals. With that being said, even with little time, these are the easiest little treats to make and there is nothing like fresh bread to fill the house with the aroma of deliciousness. All you need for this recipe is a large bowl, flour (I used self raising today), olive oil and a pinch of salt, oh yes, and a jug of water. Now when I read this recipe online, I thought that the flour to water ratio was wrong. When it came to the mixing and the kneading, I had to add lots of extra flour. The same day I made these, I made some coffee cake. I had asked my grandmother for her recipe and she laughed and said she didn’t know it. When I asked her what she was talking about, she told me that she never measured ingredients in her life. So, what I’m saying is this; Use the recipe, but if you need to add another handful of flour to get a consistent dough, then don’t be afraid to add it. 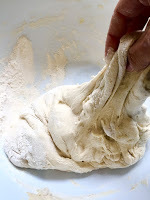 oil (water first) and knead until you end up with a smooth dough. Let it sit for about 10 minutes in a cool area of your kitchen and then split into small balls the size of your palm. 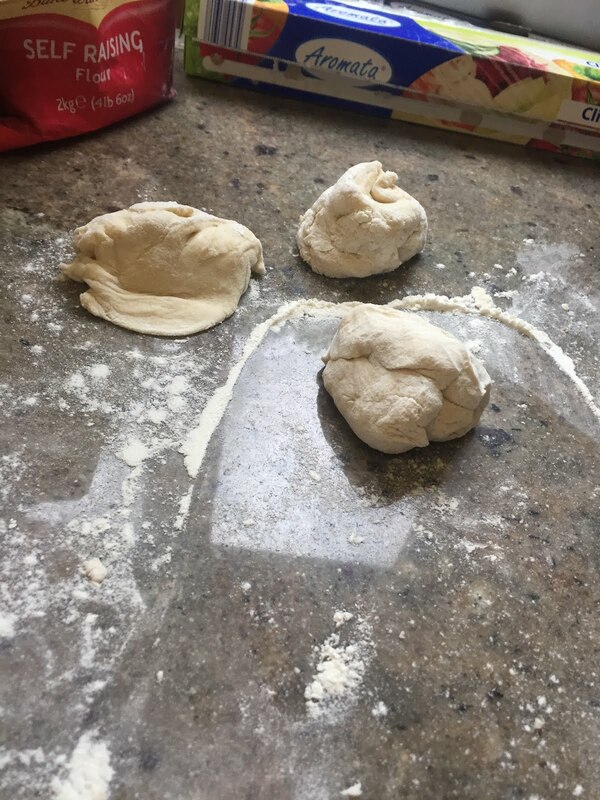 Roll these out individually as thin as you can get them – use a sprinkle of flour on the counter top to prevent the dough from sticking. frying pan (non stick) and allow it to heat up. If you wanted to be adventurous, add some cumin seed to the frying pan or a sprinkle of hot curry powder. 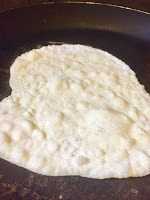 Lay the rolled dough onto the pan and cook to the same degree you might cook a pancake. You will see the dough formbubbles, once this happens, turn the wrap and cook the other side. Finish the wraps with the filling or the top ping of your choice. Garlic butter / smashed avocado and salsa with sour cream / chilli con carne. My kids also love these filled with roast chicken and topped with a sprinkle of cheese and salsa. Other options include smashed avocado and steak strips OR Halloumi cheese, sliced beetroot and coriander pesto. 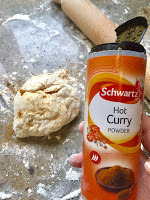 Alternatively, use these like a naan bread to scoop up curry or chilli. If your kids (or indeed your husband/wife) are anything like mine, they will love eating anything that they can scoop up with their hands. 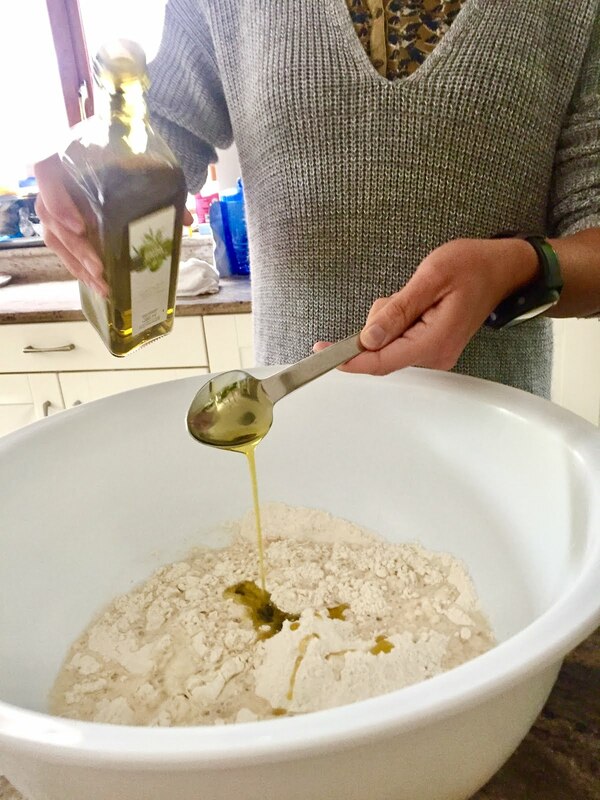 This is a really versatile dough that will go well with many flavours – try adding basil, coriander/coriander seed/chilli/olives or fennel seeds to the mix for a variation on flavours. Give them a go in the school lunches and give the kids a selection of fillings to construct their own sandwiches. Oh please do – and they work so well for dipping too!